YouTube and Universal Music Group have joined forces to create a new website that the two companies hope will change the way internet users view music videos online. The new site, named Vevo, will offer higher quality clips to those that can often be found on YouTube. The Vevo website currently boasts the strapline 'Music. Videos. You.' and invites visitors to sign up for updates. Vevo is also on Twitter. 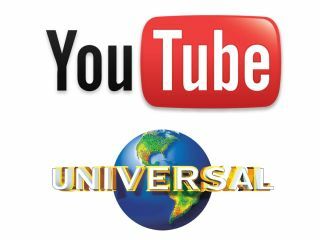 Universal's servers will host the site, but the technology used to run it will come from YouTube. It is expected that videos will be able to be streamed for free, and that the site will make its money through advertising revenue. Although YouTube enjoys staggering levels of popularity, it struggles to make a profit, and Vevo is set to maximise advertising revenue in a way YouTube cannot. Many big brands avoid advertising on YouTube due to the mish-mash of user generated low-quality content available on the site, and YouTube and Universal will be hoping Vevo will bring in much more cash. Google purchased YouTube for $1.65bn in 2006 and this latest move is the latest attempt to turn the site into a profit making machine. "More traffic than any other site"
Universal are also hoping Vevo - said to be inspired by NBC's (and Rupert Murdoch's) Hulu - will net them a few quid. Doug Morris, Chairman & Chief Executive Officer of Universal Music Group, said: "We believe that at launch, Vevo will already have more traffic than any other music video site in the United States and in the world. "And this traffic represents the most sought after demographic for advertisers, especially as advertising dollars continue their shift from old media to new." Universal are also keen to get other major record companies on board, with talks ongoing with Sony Music and the EMI Group. Universal will hope to sign up Sony and EMI before Vevo's launch later this year, although discussions with Warner are expected to be tough. But even if no deals can be struck with the other three big record companies, Universal itself owns the rights to almost 10,000 music videos. Universal already has by far the most watched channel on YouTube with over 3.5 billion views. It's certainly good news for internet users, who will have a brand new way to watch high-quality music videos online for free by the end of the year. And maybe we'll eventually have to change our weekly feature to 'the best of Vevo'!